Thick, colorful pieces for small hands to pair up - which baby belongs to which mama? 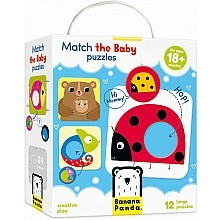 For ages 1 1/2-3 yrs, from Banana Panda. Match the pairs and build memory and concentration skills! 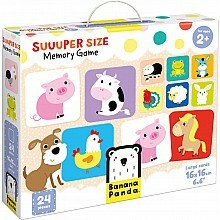 For ages 2-5 yrs, from Banana Panda.